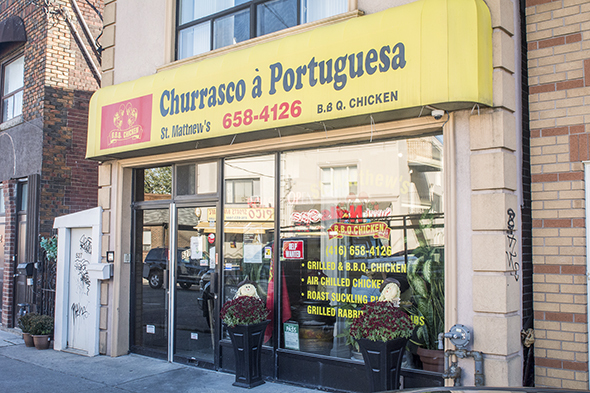 St. Matthew's is a friendly churrasqueira with low prices and almost always a little bit of a line. 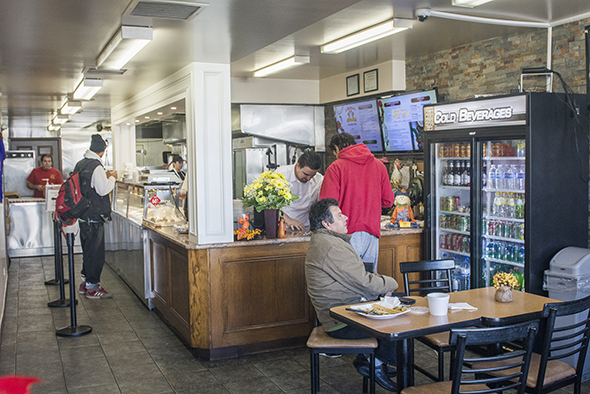 It's a family business that's been operating for over two decades. 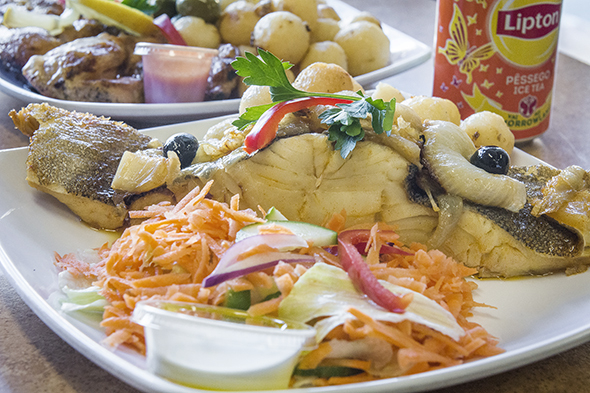 Most things are served lunch counter style, though they're presented beautifully even in the warming trays. 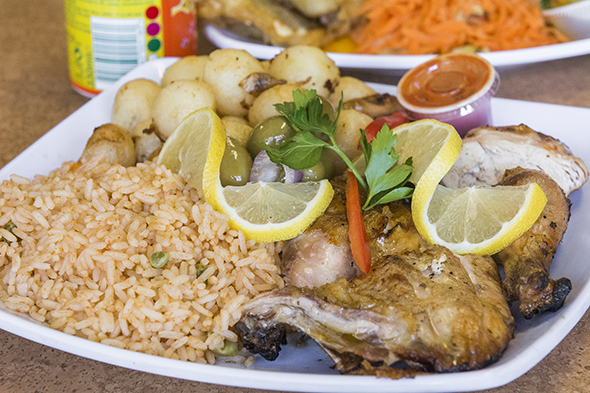 Their famous half grilled chicken is tough to beat at just $6, $11 with rice and potatoes. The chicken is perfectly moist and nicely smoky with the slightest hint of light grease, and the potatoes and rice have that rich depth of flavour characteristic of those sides done well. Make sure to douse everything in their famous hot sauce: smoky and spicy but flavourful. 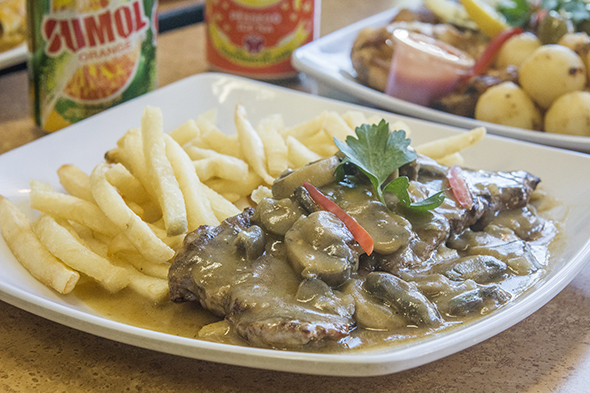 The steak is a juicy tender striploin with homemade mushroom gravy that they should try making poutine with. It comes with sadly underdone fries, and though they do actually make sort of a surprisingly good vehicle for that delicious peppery gravy, oven roasted or steamed veggies would probably be a better option. The unexpected St. Matthew's cod ($14) is a secret grandmother's recipe. It's a flaky, mild, white fish that's as juicy as the other proteins, oven roasted with a simple combo of olive oil, caramelized onions, and love. It's also topped with a few black olives that add a bitter zing. On the side we have a simple garden salad. The inside is nothing to write home - it makes me feel partly like I'm in a cafeteria and partly like I've just barged into an older man's living room - there's a TV playing soccer and at least one guy watching.